The pressure which the blood applies on the walls of the arteries while circulating through the body is blood pressure.. However, when the pressure applied by the blood is repeatedly high it leads to a condition known as hypertension, which we call as High Blood Pressure. 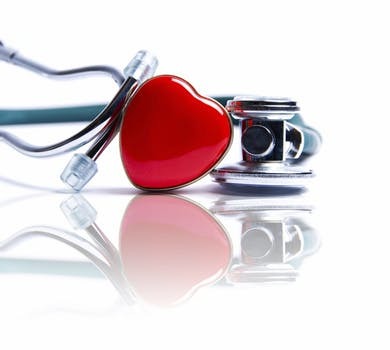 In other words, the normal rate at which the heart beats is 120 to 80 mmHg and when this rate reaches to the level of 140 to 90 mmHg or above, then the person is considered to be having High Blood Pressure. When high blood pressure is stretched for a long time, it leads to heart diseases, stroke, heart failures, kidney problems, cognitive and memory problems. Almost half of the population suffers from hypertension.High Blood Pressure is generally observed in old age people. Every third adult suffers from high blood pressure, worldwide. But due to the modern lifestyle high blood pressure is found in children and teenagers as well. A high probability of increased blood pressure is found in children who are overweight and have a family history of illness. The risk of hypertension is more in adult men as compared to adult women. But as the age reaches 60, both men and women have equal chances of hypertension. High blood pressure is known to be a ‘silent killer’. There is not any particular sign or symptom of high blood pressure, it is possible that you may have a high blood pressure and you are not aware of it. So the best you could do is to regularly visit a doctor and check your blood pressure.If you constantly, get a heart beat rate of 140 to 90 mmHg or above, then you are having a high blood pressure. People generally complain of having a headache, vision problem, chest pain, irregular heartbeat and blood in the urine when they have hypertension or high blood pressure. A lot of causes are responsible for the increase in the blood pressure of a human being. There is a possibility that the person is consuming a lot of salt or maybe you do not take enough fruits and vegetables in your diet. Obesity is also a reason for high blood pressure. Stress also causes high blood pressure. The major problem lies in the lifestyle which we are living today. Junk food and extreme environment are a big concern when it comes to high blood pressure. For the diagnosis of high blood pressure, we use the device sphygmomanometer. When you visit your physician to check your blood pressure, he takes 2-3 readings from the device during different appointments. The systolic and diastolic readings of the sphygmomanometer determines the high blood pressure. Treatment of hypertension does not demand you to lose money from the pocket. You can easily make your blood pressure flow normally by working out. Regular exercise is a must when it comes to the cure of hypertension. If you are facing a constant increase in blood pressure then you should decrease the consumption of salt in your diet along with the addition of fruits and vegetables. It is important to take low-fat proteins, potassium and whole grains in your diet. Moreover, adding milk in your diet reduces the risk of high blood pressure. Alcohol should be reduced if you are suffering a constant raise in the blood pressure. Reducing the caffeine consumption also helps in lowering the blood pressure. A study conducted by the scientists of University of Chicago states that insomnia is also one of the reasons for hypertension. A 7 hour sleep is necessary for an individual to lead a healthy life. If your high blood pressure is not diagnosed by applying these measures then your healthcare provider will prescribe you medication. Very few people are aware of prehypertension.In prehypertension the blood level fluctuates from 120-139 mmHg to 80-89 mmHg. You can be easily diagnosed with the problem by exercising and adding healthy supplements in your diet. Gestational hypertension or Pregnancy Induced Hypertension is a problem that occurs in pregnant women. The blood pressure of the mother is measured to be 140 to 90 mmHg. If the hypertension is not cured properly it results into a long term situation known as eclampsia. The mother usually have protein in their urine, vision changes and liver abnormalities. If the gestational hypertension is seen after 37 weeks then there is a probability of being induced and c-section. Other than this, you and your baby will not have to face any health issues. Gestational hypertension may also be responsible for premature birth, stillbirth and placental abruption. Your gynaecologist will take ultrasound in every three weeks to make sure that the baby is growing well and you may have a biophysical profile to check the health of your child. If the condition of you and your child are worse, your doctor will prescribe you medication to maintain your blood pressure. After the delivery of the child, your blood pressure will return to normal. If the blood pressure does not return to normal then you should consult a doctor.